Algebra is the language through which most of mathematics is communicated. Elementary Algebra begins to provide a means of operating with the concepts of variable, expression, equation and inequality at an abstract level and then applying them. Whereas previous mathematical study was developed as a generalization of arithmetic, the algebra in this course focuses on its own logical framework and consistency. Prerequisite: Pre-Algebra. Full year course – 1 credit. One of the most important connections in all of mathematics is that between geometry and algebra. In order to deepen students’ understanding of shapes and their properties, geometry of two and three dimensions, from synthetic and algebraic perspectives, is explored. Students learn to classify figures in terms of congruence, similarity and inequality; to deduce properties of a relationship between figures from given assumptions; and to represent problem situations with geometric models and apply the properties of figures to problem solving. Prerequisite: Elementary Algebra. Full year course – 1 credit. This course concentrates on a variety of functions. Primary emphasis is on understanding operations, general properties and behavior of classes of functions, including a complete development of the trigonometric functions. Students learn to represent and analyze relationships using tables, verbal rules, equations and graphs, and to translate among tabular, symbolic and graphical representations of functions. Important concepts of calculus are foreshadowed through an emphasis on graphs. Prerequisite: Advanced Algebra, with permission of instructor and Associate Head of School. Full year course – 1 credit. This course focuses on mathematical concepts and skills that have practical application well beyond the classroom. Students gain valuable experience in organizing and analyzing information using mathematical systems. Topics include problem solving, finance, probability and statistics, linear models, set theory and logic. Prerequisite: Geometry. Full year course – 1 credit. Calculus is the mathematics of change and motion. This course is the equivalent of a one-semester college-level course. 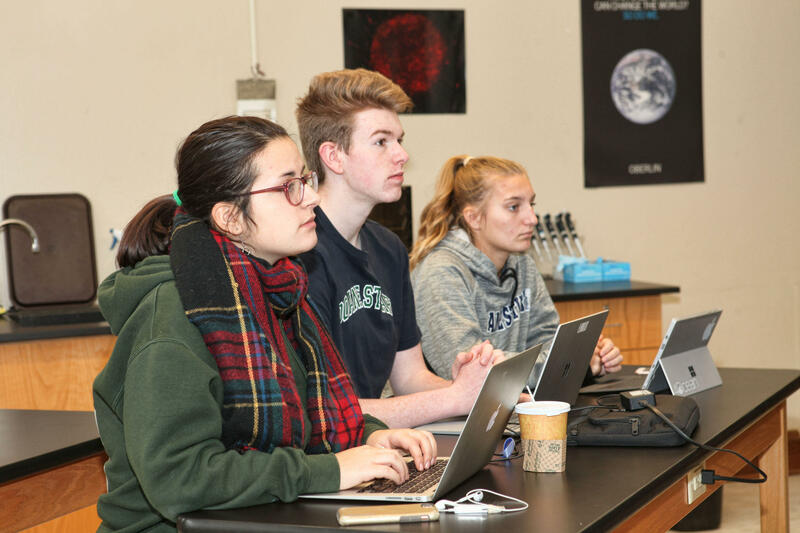 After completing this course, students are prepared to apply the techniques of differentiation and integration to problems in other areas of mathematics, physics, chemistry and engineering. They are prepared, also, to take the AP Exam in Calculus. Topics include analytic geometry, differentiation and integration of the trigonometric functions and their inverses, exponential and logarithmic functions, area, volumes, velocity and acceleration curve sketching and other selected topics. Prerequisite: Precalculus, with permission of instructor and Associate Head of School. Full year course – 1 credit. This course explores more applications of the topics covered in the calculus course, after which students learn additional techniques of integration, and study differential equations, series, conics, parametric equations and polar coordinates. Prerequisite: Calculus, with permission of instructor and Associate Head of School. Full year course – 1 credit. In our information age, the number and variety of college majors requiring the study of statistics is growing every year. In this course, we explore how and why data is organized and displayed. We learn how to find patterns and describe and deal with departures from patterns. We learn how data is collected and create our own surveys and experiments. We study probability, and use it and simulation to study random phenomena. Prerequisite: Advanced Algebra, with permission of instructor and Associate Head of School. Full year course – 1 credit. Through the lens of history, students reinforce math skills and prepare for the math necessary for beginning college courses. From its roots in Ancient Mesopotamia, Egypt and Greece, to the mathematical Revolutions of the Middle Ages and the Age of Reason, to the complexity and abstraction of the modern era, students learn the “how” and “why” behind the math that they have learned in the past, and build on that understanding to see how math is solving problems in our world today. Full year course – 1 credit. For motivated students who wish to pursue a special topic. Open to juniors and seniors, and to qualified sophomores, with permission of instructor and Associate Head of School. Credit will vary.